Parents were advised to encourage the children to eat as much as possible from the “Favored” list and as little as possible from the “Un-favored” list. 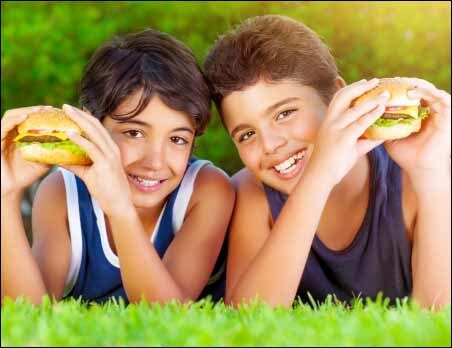 Although the average scores from each group were not much changed, when the researchers used the degree of compliance (called “favorite dietary behavior”) as a variable, they found that the more the child complied with the improved diet, the better he did. NOTE: Per communication with the author, the Ritalin used was provided by their pharmacist and is assumed to contain dye. According to the FDA Medication Guide for Ritalin, the dyes contained are Yellow 10 and Green 3, depending on dosage. All the children, therefore, consumed at least one of these dye additives every day – and yet they still had measurable improvement when they ate better foods with fewer additives. This entry was posted in 2011-2015, ADHD, Diet Studies, Hyperactivity, Research Studies. Bookmark the permalink.